Mastermind PBC/6X | RJM Music Technology, Inc. 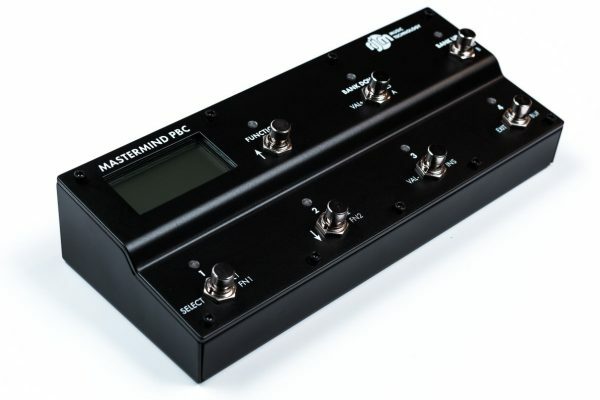 The PBC/6X allows you to connect 6 pedals and have complete flexibility in choosing which pedals are on at any time, as well as the order of those pedals in your signal chain. 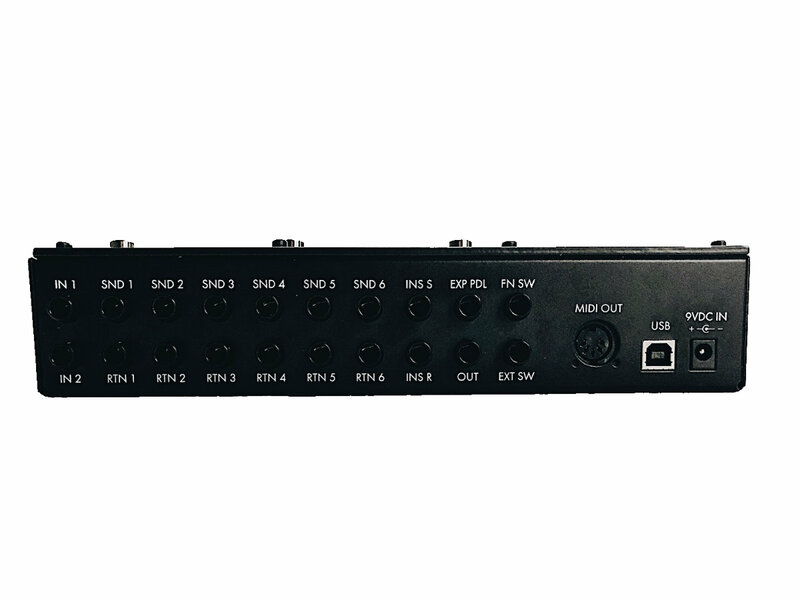 You can also control any MIDI compatible devices and switch channels on most amps that use 1/4-inch switching jacks. Power Requirements: 9VDC or 12VDC 220mA, Boss-type connector (center negative 5.5/2.1mm barrel connector). Most amps that have one or two 1/4-inch footswitch or external switching jacks are compatible with the Mastermind PBC/6X. The exception to this is any amp that has a footswitch that has one 1/4-inch plug but more than two buttons. These footswitches use proprietary electronics and are not compatible with the Mastermind PBC/6X. The “X” indicates that this is a matrix switcher, which means that you can change the order of loops. We wanted to differentiate the PBC/6X from the PBC/10, which is a relay switcher. Why should I choose the PBC/6X over the PBC/10, or vice versa? The PBC/10 uses relay switching which allows you to use it without any buffers. Matrix switching needs a buffer in front of it when used with a standard guitar. In short, if small size, lower cost or loop reordering are a priority, the PBC/6X is probably a better choice. If you are planning a larger pedalboard with extensive use of stereo effects and parallel routing, then the PBC/10 is what you’re looking for. 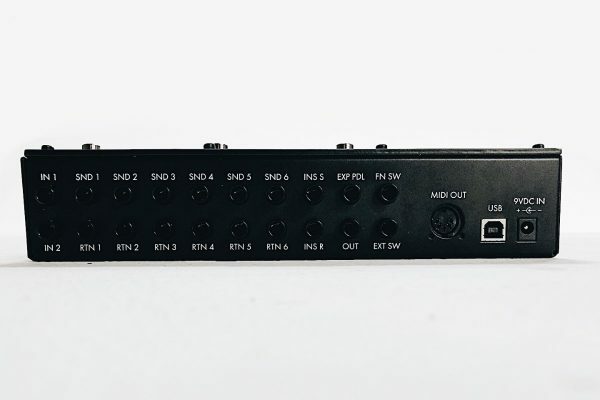 Does this switcher convert my signal to digital? The signal path is never converted to digital. The internal tuner uses a digitized signal, but that signal is split off from the buffer before being digitized and that digitized signal never makes it back to the signal path. Yes, editor software is available for Mac and PC. The editor makes basic editing easier, and allows for much more detailed editing, including changing button layouts and accessing advanced MIDI features. You can download the editor for free from the links above. You don’t even need to have a Mastermind PBC for you to try the editor! Do I need to use the computer based editor software? No, you’re not required to use the editor for basic tasks. You can program loop on/off state, loop order, preset, song and setlist names using the built in setup mode, as well as doing basic MIDI functionality such as setting up PC messages and configuring the expression pedal. Why is there no line mixer or parallel capability in the PBC/6X? The primary goal was to have a smaller, less expensive PBC. Adding an internal line mixer would interfere with both of those goals. You can use our Mini Line Mixer in conjunction with the PBC/6X to get up to three loops in parallel. This will give you full time parallel routing for the loops connected to the mixer. Is the PBC/6X true bypass? The PBC/6X will remove unused devices from your signal path, so it is definitely true bypass. The hardware it uses is much different than our other switchers. Our other switchers use relay switching, where the PBC/6X uses a matrix of transistors. How does the audio quality compare to the PBC/10? We did a lot of audio measurements during the course of development, and spent many extra months making sure the PBC/6X was as transparent as possible. The end result is that the PBC/6X’s audio performance is almost identical to the PBC/10. Because of the switching matrix, the PBC/6X needs the signal to be buffered, either with the internal buffer or an external buffer, to get optimal performance.